The Lizard Lighthouse. 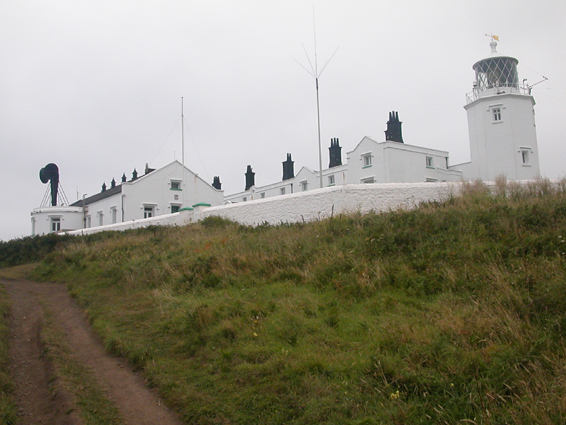 The Cornish Coastal footpath lies directly below the foghorn on the left of the picture. Fingers-in-the-ears just in case when passing!